I tried cutting off the blighted areas of the tomatoes, then frying them. They were too hard for me to eat, but my hens liked them. I am now keeping the unripe tomatoes in my garage in a laundry basket with a ripe banana, the hope is that when/if they ripen, I will cut off the bad bits and fry or stew the rest. So far the only plants affected were in grobags in the garden- others in grobags in a more sheltered spot are mainly OK. 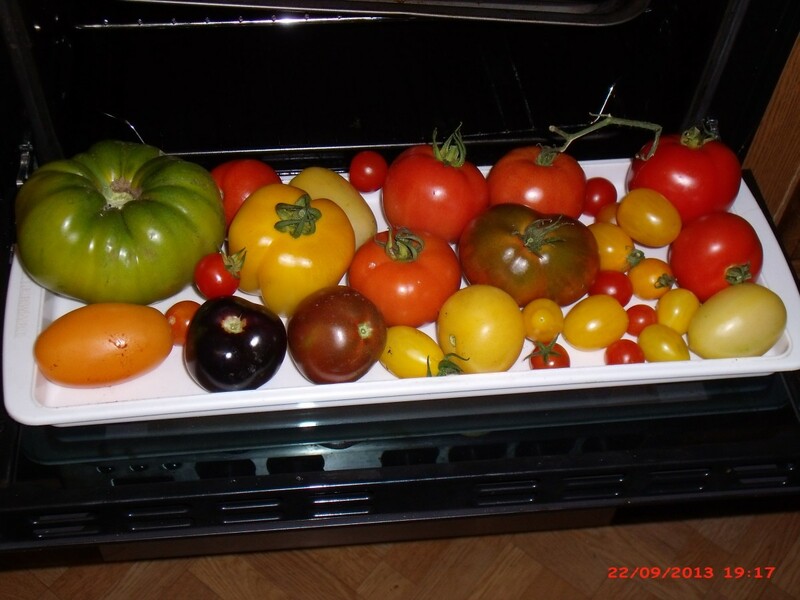 The greenhouse toms seem OK. My container grown potatoes did not get blight this year. Are you supposed to fry green tomatoes and for how long? ISO Blue heirloom tomatoes are successful from seed, but they are mainly black with one area remaining green or red. When will they ripen and what do they taste like? 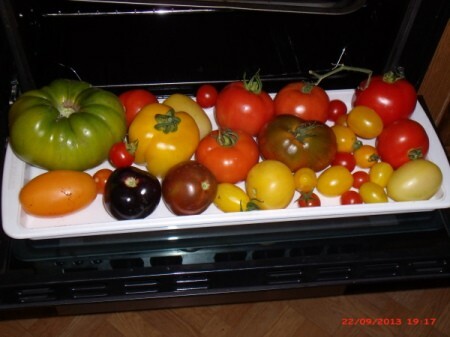 The pic is some of the heirloom varieties I grew from seed sent from the USA. From a Limey who waited for his German Green tomatoes to turn red. Update. All my outside tomatoes in grobags in backyard have succumbed to blight. The ones I hoped to save still got it. The greenhouse tomatoes are OK so far - also the soil grown ones in front of house. Blight usually strikes in UK in June - July, this happened in mid-September - I sprayed my spuds & toms in June with Dithane 945 but did not think to repeat in Aug/Sept.